Speaking of Women's Rights: Will Women Make the Difference in Winning Marriage Equality? Will Women Make the Difference in Winning Marriage Equality? In just 50 days, Washington voters will decide whether to keep our law to allow lesbian and gay couples to marry. In case you haven’t been following closely, voters will need to Approve Referendum 74 on November 6th to keep the freedom to marry in Washington state. We’ve always known that women voters will be key in winning this historic vote. But this point was underscored last week by a poll that measured voter support for approving Referendum 74. The poll found voters would approve the marriage equality law by a margin of 56% to 38%. But the poll also showed a significant difference in support between women and men. The poll found that support among women was a whopping 65% to 29%. By contrast, men were evenly divided at 47% to 47%. Of course, we can’t read too much into one poll. Our opponents haven’t yet unleashed any commercials to try to mislead and frighten voters, and we need to keep working harder than ever to educate voters about why marriage matters for lesbian and gay couples. But the strong support among women in the poll was striking - and it closely matched the breakdown of support among female and male lawmakers when the Washington Legislature passed the marriage equality law in February of this year. Women currently hold 47 of the 147 seats in the Washington Legislature. Back in February, women lawmakers voted for marriage equality by an overwhelming margin of 33-14 – which translates to 70% support. The male lawmakers literally split their votes 50-50. Simply put, the marriage equality law wouldn’t have passed the Legislature without the outsized support of women lawmakers. 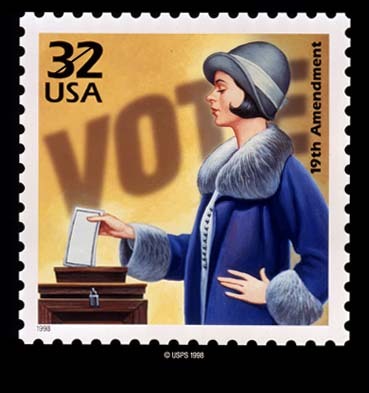 And this November, woman voters can make a similar difference in winning the fight to Approve Referendum 74. That’s especially true because in a referendum, every voter is like an individual lawmaker and the entire electorate will decide whether the marriage equality law should be retained. Since the electorate is just about evenly divided between women and men, that means women will have an equal voice in deciding the issue. Unfortunately, that’s still not true in our legislative bodies. Today, women hold only 17% of the seats in Congress, which puts us 80th in the world in terms of women’s representation in national legislative bodies. And while things are better In Washington, women still hold less than 32% of the seats in the State Legislature – and that’s down from a high of 41% that was reached back in 1996. Want to learn more about how you can help win the fight to Approve Referendum 74? You can visit the Washington United for Marriage website for more information about how to volunteer, donate, or contribute in other ways. You can also help make a difference this week by joining Legal Voice on Wednesday night to phonebank for Approve 74, or by coming to happy hours tonight and tomorrow in Seattle to learn how you can help mobilize support for the freedom to marry among your friends, families, co-workers, and neighbors.